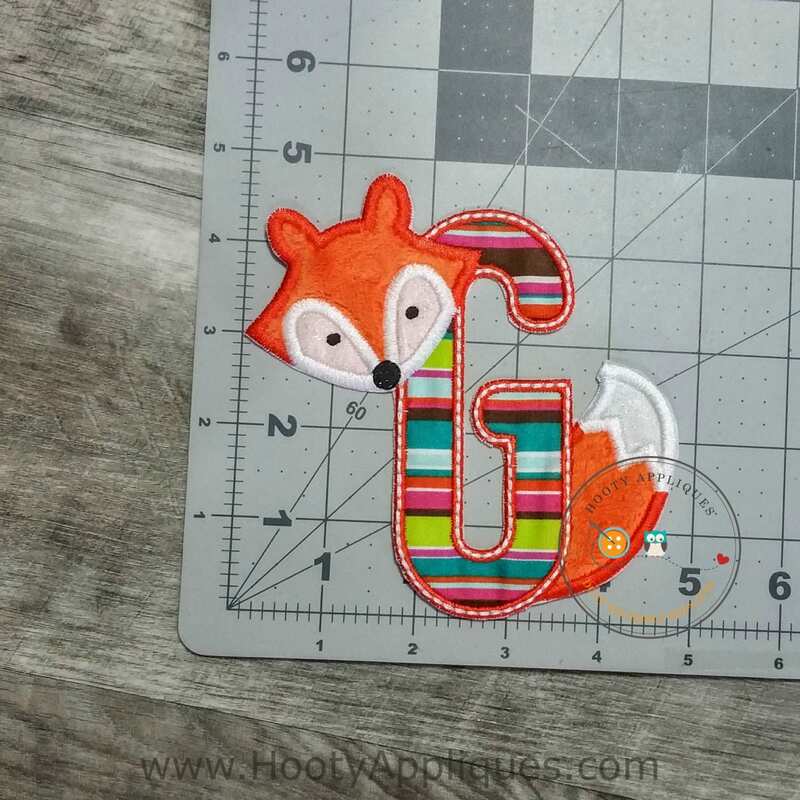 Bright orange Minky woodland fox monogram letter "g" iron on applique. The letter is made with a multi-color stripes running horizontally through the letter. 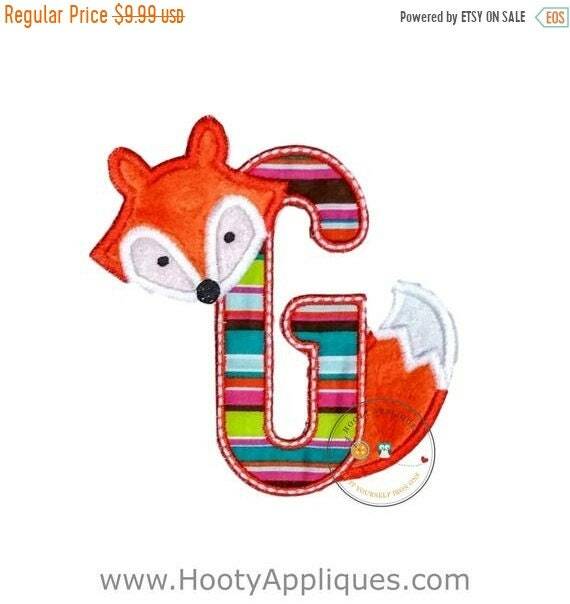 This cutie is embellished with white cotton fabric that is dusted with silver glitter. and embroidered details. 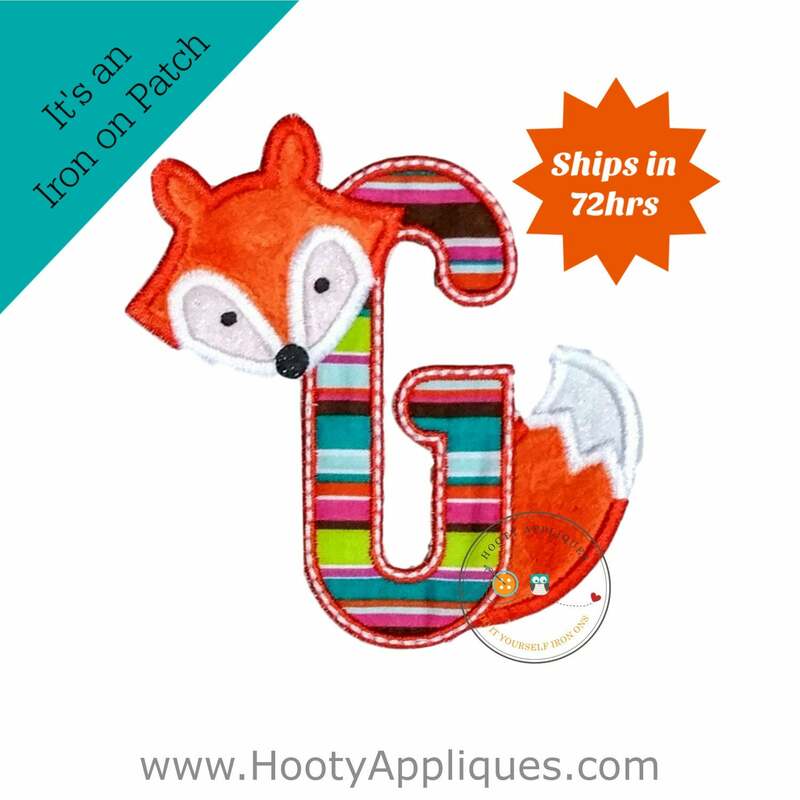 *Patch measures 4.75 inches tall and 4.75 inches wide.